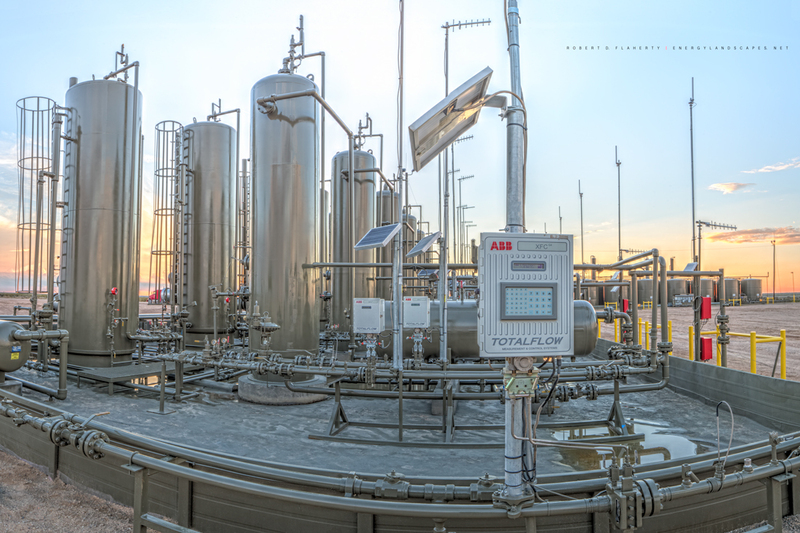 Anaconda Detail is a midstream gas asset detail image featuring ABB Total Flow Measurement Control Systems in very high resolution 2:3 panoramic format. The location is in the Delaware Basin of far Western Texas. Fine Art Oil & Gas Photography By Robert D. Flaherty. Photo © copyright by Robert D. Flaherty.